Patrón’s master distiller, Francisco Alcaraz selects the perfect agave using both his years of experience and his knowledge of science and the art of tequila making. Once the finest agave piñas are selected and trimmed, they are cut and put in traditional masonry ovens. The piñas are slowly steamed, in small batches, for 79 hours. The steamed agave piña is sweet and rich and is torn and shredded once softened. The shredded agave is placed in a shallow traditional stone pit, where it is macerated with large, natural stone milling wheels. The wheel, called a “Tahona”, is hewn from a stone taken from a nearby mountain. This is the time-honored tradition of crushing agave. 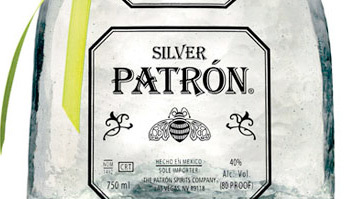 Another unique benefit is that Patrón has its water source: a spring fed deep well on the property, which also contributes to the refined taste. Under the supervision of Francisco Alcaraz, each batch is tested throughout the fermentation process using the latest technology and time tested techniques of taste, smell and sight. The juice from the agave is placed in wooden fermentation tanks for 72 hours. The mixture that results is called “must.” The must is distilled twice in traditional copper pot sills. The first distillation produces a sweet, low alcohol brew. The second distillation is less sweet and produces much higher alcohol content. After distillation, each batch is fine filtered and balanced under the fine supervision of master distiller, Francisco Alcaraz.